Searching for new ways to put your old eLearning content to good use? Do you want to reduce your eLearning budget by giving your materials a makeover? In this article, I’ll share 7 tips to help you repurpose your eLearning content for modern learners. There are times when eLearning professionals must start from scratch and build their eLearning content from the ground up. However, in most cases we can reuse what we already have by making some minor modifications. Repurposing eLearning content can save money and time, but only when it’s done correctly. 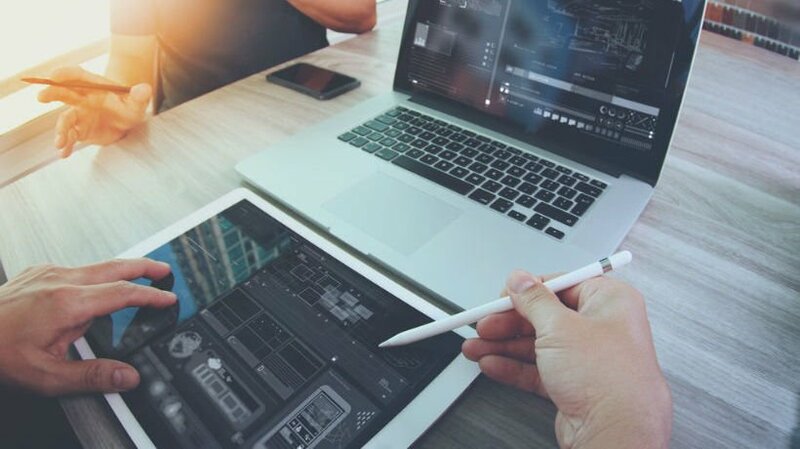 Here are 7 tips and tricks for transforming your existing eLearning content in order to make it fresh, engaging, and relevant for your current audience. Take stock of your eLearning assets. Before you can repurpose your eLearning content you should take an inventory of all the eLearning content you have, as well as which tools are at your disposal. This includes any and all eLearning authoring tools that can help you convert your materials, such as video editing software and infographic creators. You may even find some resources that you had forgotten about altogether that can be useful for your current eLearning project. Once you've gathered all of your eLearning assets you should pick-and-choose which materials can be repurposed. It's important to keep an open mind during the review process and to take a lateral thinking approach. Otherwise, you might miss a golden opportunity. For instance, a few slides from an outdated online presentation may fit perfectly into your new eLearning course after some minor rewrites. Create an outline, eLearning storyboard, or chart to map out every aspect of your eLearning design. For example, if you are turning your existing eLearning content into an engaging online presentation you should sketch out an eLearning storyboard that highlights every scene. The centerpiece of your outline must be the learning goals and objectives. This means that every image, piece of text, and interaction should facilitate the desired outcome. Now is a good time to meet with your eLearning team or client to get their input, especially from your Subject Matter Expert. They can let you know what needs to be included, how to convey the information, and how you can revise the existing eLearning content most effectively. Transform text into interactive eLearning materials. Developing interactive eLearning scenarios, quizzes, simulations, and eLearning games is one of the best ways to breathe new life into old eLearning content. For example, if you already have a text-based story you can simply pair it with images, background music, and sound effects to turn it into an immersive eLearning scenario. Create different decision paths to make it even more engaging and stress the real world applications. Another way to boost the interactivity factor is to design an online training infographic based on stats and facts, instead of opting for a bullet point list. Embed eLearning videos to improve knowledge retention. eLearning videos are a great addition to eLearning courses that already have updated images, written eLearning content, and graphics. You can produce eLearning videos of your own using recording and editing software, or you can embed eLearning videos directly from YouTube and other social media sites. It's amazing how much difference an eLearning video can make when it comes to knowledge retention and comprehension. For instance, a task can be simplified by adding an eLearning video that details every step of the process. If you are using external videos just make sure to include the proper credits or attributions to avoid copyright issues. Include a list of useful eLearning resources. Online learners who are struggling and those who want to seek out more information on their own will benefit from an eLearning resource list. This list can include anything from helpful eLearning articles and websites to online training podcasts. Organize the list by category so that online learners can quickly find the information they need, and update it frequently to ensure that all links are active. Encourage your audience to contribute to the list by adding links that they've found useful, and ask them to report any links that are no longer relevant. Modern learners don't have the time to sit through a lengthy eLearning course in order to get essential information. Thus, you should try to keep your newly revamped eLearning content bite-sized, if possible. This means that none of your eLearning videos, activities, eLearning assessments, or modules should be longer than 5 minutes. Microlearning materials give them the opportunity to quickly assimilate the information and apply it right away. Using a responsive Learning Management System is also wise due to the fact that mobile learners can access the eLearning content on any device. One of the major pitfalls of repurposing eLearning content is that the finished product can seem disjointed and disorganized. Chances are, the material has been pulled from a variety of different sources. This means that all of the components feature distinct tones, language, and aesthetics that don't necessarily mesh. Therefore, you will have to examine the work as a whole and make minor adjustments to create a cohesive flow. For example, if you are trying to convey a conversational tone, some of the more authoritative text will have to be modified. Likewise, color schemes, images, and graphics will all have to fall in-line with the new theme. The last tip I’d like to leave you with is avoiding repurposing eLearning content altogether by creating evergreen materials. These items don’t have any shelf life, which means that they can be used time and time again in your future eLearning course designs. If they start to seem outdated, you can give them a quick polish by adding new details and insights. Keeping your eLearning content well organized can cut your repurposing time in half thanks to the fact that everything is properly maintained and stored in one place. Read the article 6 Tips To Keep Your eLearning Content Organized And Clutter-Free to learn how to keep your eLearning content clutter-free.